An official ceremony was held in Akorda (Presidential palace in Kazakhstan) with the participation of five new ambassadors from Japan, Vietnam, the Czech Republic, Croatia and Tajikistan, who also presented their credentials to the president of Kazakhstan, Trend reports citing the Kapital.kz business information center. "I would like to congratulate you all on the beginning of the diplomatic mission in the country. The start of your time as ambassadors here has coincided with important reforms which will be implemented in Kazakhstan. We have a strategic program till 2050. Now we are carrying out comprehensive work. As an independent state, we wish to be among the 30 developed countries. The future of Kazakhstan depends on the young generation, which knows modern technologies," said President Nursultan Nazarbayev. According to the head of state, Kazakhstan is focused on the flow of investment into the economy, and noted a special approach taken towards technologically advanced countries such as Japan. "We are ready to support cooperation. The development of a comprehensive dialogue with Japan is one of the important tasks of the foreign policy. Our detailed talks with the prime minister, several of our meetings over the years suggest that the countries are ready for cooperation. We are waiting for large Japanese companies that I met in Tokyo. Kazakhstan will create all possible conditions for work," Nazarbayev emphasized. The president said that the bilateral trade relations of the countries increased by 30 percent in 2018, the trade turnover reached $2 billion. "The prospects are still huge," the president added. 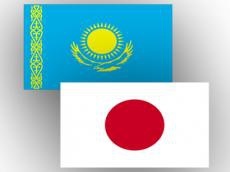 As a token of respect, Tatsuhiko Kasai, the Japanese ambassador to Kazakhstan, addressed President Nazarbayev in the Kazakh language. "It is a great honor for me today to present my credentials to your Excellency," he said in Kazakh. Later he explained to journalists that, having arrived in Kazakhstan, he is ready to master the Kazakh language.